Arduino's MKR GSM 1400 is a fantastic cellular enabled micro-controller that is extremely flexible and perfect for embedded low power solutions. 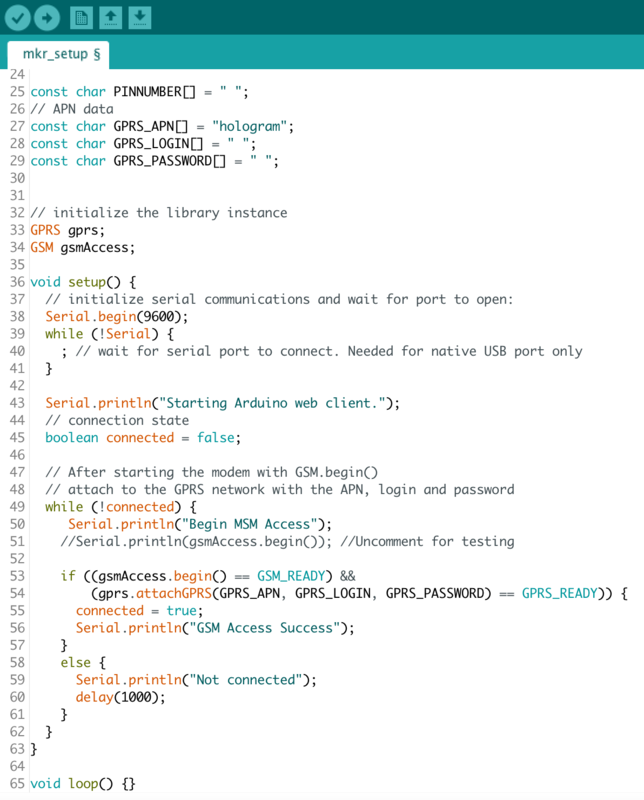 Additionally, as part of Arduino's ecosystem the MKR GSM 1400 has tons of great documentation and a vibrant community. 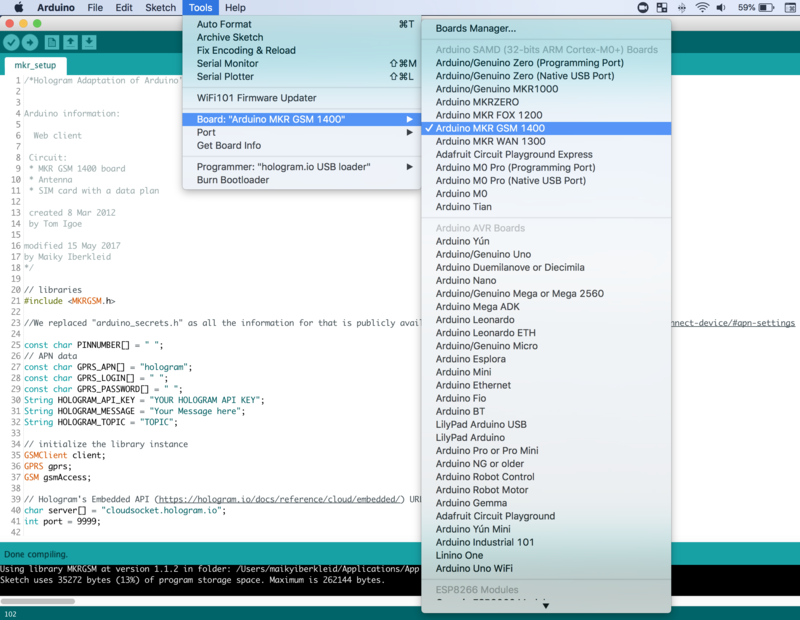 In this guide we go over the setup required to get it working on the Hologram network using our global IoT SIM. Before we begin, please make sure that you have a Hologram account. 1) First we need to make sure to activate our Hologram SIM on the Dashboard. Here is a link that walks you through that process. Once your SIM shows a green dot that indicates that its in LIVE status on the Dashboard we are ready to move on to the device. 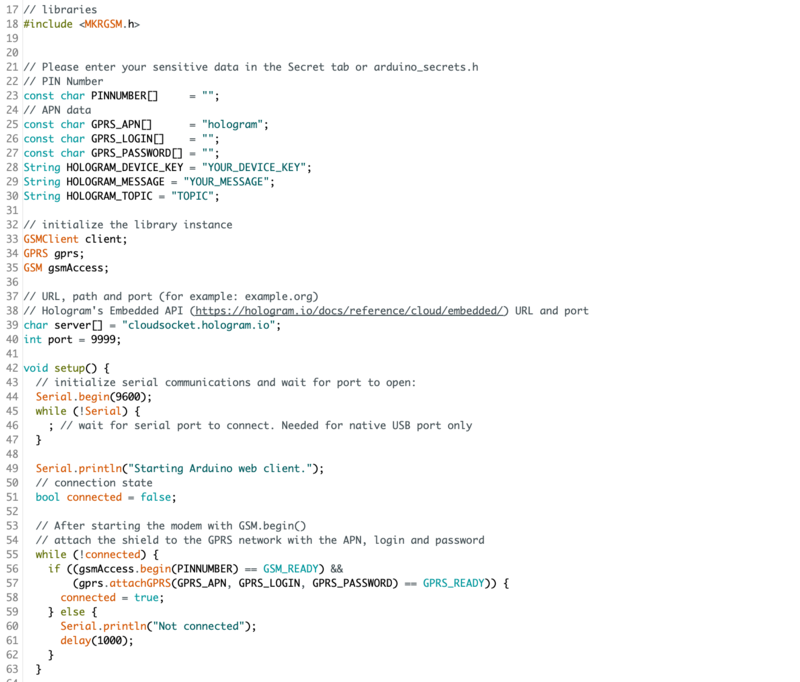 2) Next to setup the MKR GSM 1400 we need to make sure our Arduino IDE is configured correctly. This page goes over that. Once you have the SAMD core installed and the MKR GSM 1400 selected as your board we can move on. 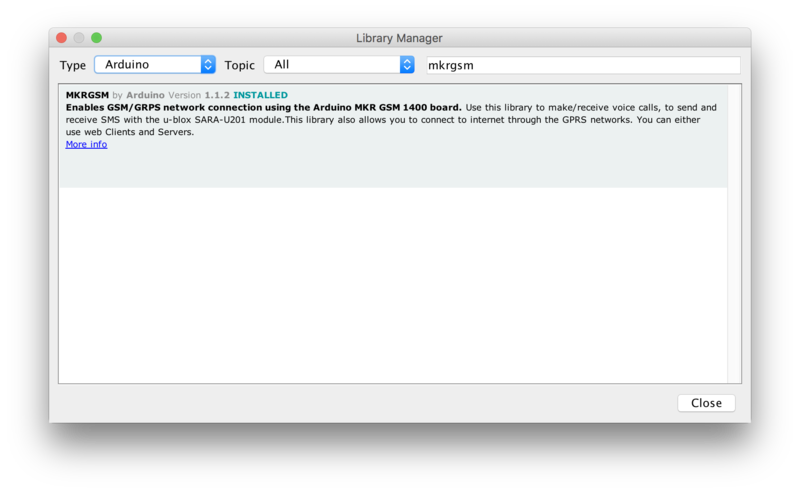 3) To connect to the Hologram network we will be using Arduino's MKRGSM library which can be obtained by going to Sketch > Include Library > Manage Libraries... and searching for it, by name, in the search bar. 4) Now lets get the hardware ready. To do this we need to insert the SIM (use the micro size which is the middle notched size) , attach the antenna, connect the battery, and plug the Arduino into your computer. Congratulations! At this point you should be connected to the network. 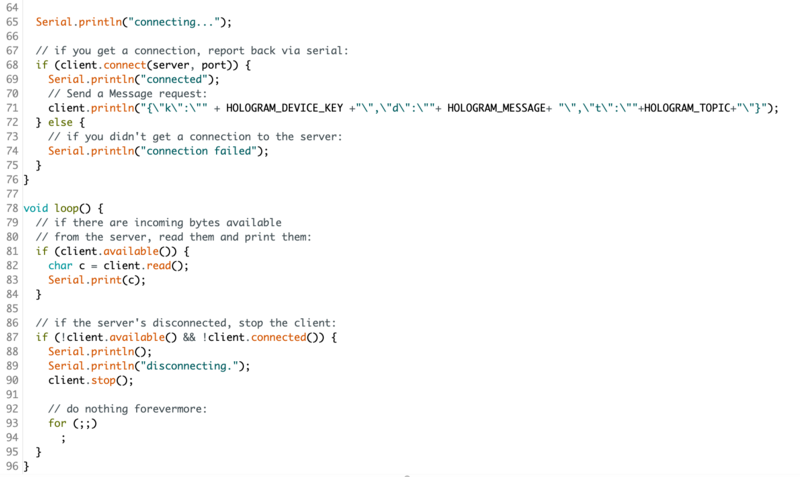 Next we will go over using the Hologram messaging protocol to send messages to the Dashboard using the Hologram Embedded API. This is an optional step for users who plan on using this feature. Thats it! Now you can modify HOLOGRAM_MESSAGE and HOLOGRAM_TOPIC to relay your information to the cloud!